ハーレーダビッドソンのサイドカーに乗った感想。おぉ、すごい。気持ちいい。結構広くて乗り心地は最高。いいな、これ。運転しているライダーもかっこいい。こういう人、ダーティハリーに出てきてたよな。試乗が出来ていい経験になった。バイクにちゃんと乗ったの初めてかも。運転じゃないけど。Automatically translated text:The impression I got on the Harley-Davidson sidecar. OO, wow. It feels good. The best ride is quite widespread. I hope, and love it. Cool at the wheel of the rider. These people, I'll come out Dirty Harry. If it is a test ride was a good experience. I got to be the first motorcycle. I do not drive. 越谷市こしがや産業フェスタのハーレーダビッドソン。この日だけ、展示・撮影・試乗会が行われていた。響くエンジン音、サイドカーなんて乗る機会は滅多にない。サイドカー＝ギャバン、つまりかっこいい！Automatically translated text:Festa strainer and industrial city of Koshigaya of the Harley-Davidson. The only test drive shooting exhibition was held. 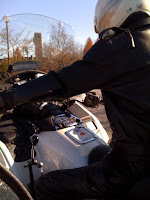 Resonant sound of the engine, the Sidecar I rarely have the opportunity to ride. 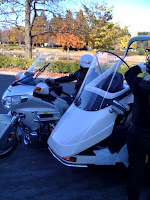 Sidecar = Gabin, that is cool! 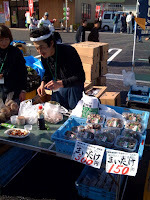 越谷市こしがや産業フェスタの２日目のお弁当。このお弁当は、昔地元の会社に勤めていた時に食べた覚えがあるな。今日は日曜日ということもあって、子どもが多かった。テーブルに置いておいたiPhoneに興味を示す兄弟がいて、CMと同じピアノのアプリを遊ばせてあげた。お兄ちゃんの方はホームページの作り方にも興味があるようだった。ホームページをヤフーからグーグルにしたとも言ってたな。Automatically translated text:Festa strainer and industrial city of Koshigaya in the lunch on the second day. The lunch, the old was working for a local company, I remember when I ate there. Today is Sunday, because the children were. 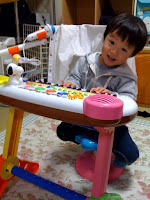 I put it on a table showing interest in the iPhone are brothers, CM, and will play the piano and gave applications. Brother of the home page of our DIRECTIONS who also seemed to be interested. From the Google home page and Yahoo also was saying. 越谷市こしがや産業フェスタの鴨ネギ鍋を食べた感想。嫁が並んで買って来てくれた。１杯１００円でこの味は安い。鴨とねぎっていい組み合わせなんだな。美味しい。越谷ネギ以外にも地場野菜を豊富に取り入れている。もう１杯食べたかった。Automatically translated text:Festa strainer and industrial city of Koshigaya of the leek pan duck ate feedback. A daughter-in-law bought me in line. 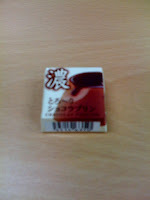 1 cup of the lower 100 yen in the taste. Duck and NEGIっ're a good combination. Delicious. 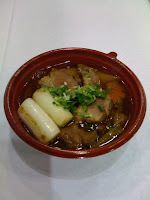 Koshigaya than onion in a variety of local vegetables are introduced.食BETAKATTA another cup. 越谷市こしがや鴨ネギ鍋１杯１００円。直径２メートルの大鍋で作る５０００人分の鴨ネギ鍋。１０時前には長蛇の列。１０分ぐらい早めに始まっていた。テレビの取材も来ていて、ガーヤちゃんもがんばっていました。Automatically translated text:Koshigaya strainer pot of onion and 100 ducks. 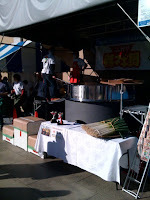 2 meters in diameter and make a big pot leek pan duck for 5000. Before long at 10 column. Started 10 minutes early. I came in a television interview, she Gaya was the best. 越谷市産まいたけ生産者の大塚成也さん。越谷市農産物直売所グリーン・マルシェのプレ・オープンで見かけた地元農業者。どこかで見た覚えがあると思ったら、実家近くで昔一緒に遊んでいた大塚さんだった。１５年以上ぶりの再会。とりたてのまいたけ、サービスしてくれてありがとうございます。Automatically translated text:Producers, Koshigaya in the industry family Shigeru Ootsuka MAITA Yuya, he said. 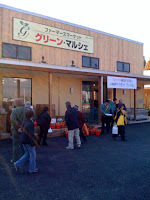 Marchais Koshigaya of green farm stand saw a local farmer in pre-open. 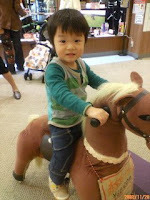 From what I have seen, you remember, near the old family home was playing with her Otsuka said. More than 15 years since the reunion. Protection of freshly MAITA the service to thank me. 越谷市グリーン・マルシェ農産物直売所。越谷市総合公園となりにプレ・オープンしました。グランド・オープンは１２月１２日（金）。安心・安全で新鮮な地元農産物がたくさんでした。市民と農業者の交流施設、ファーマーズ・マーケット「グリーン・マルシェ」Automatically translated text:Marchais green farm stand Koshigaya. 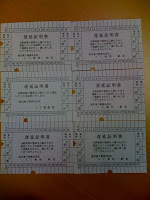 Overall parks and the city of Koshigaya in the pre-open. Open Grand Friday, Dec. 12. Safe and a lot of fresh local agricultural products. 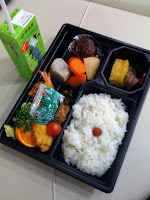 The exchange of public facilities and agriculture, farmers markets, "Green Marchais"
越谷市こしがや産業フェスタの初日のお弁当。普通のお弁当。８００円。午後になり、嫁が来てくれたので休憩を取る。ちらほらお客さんが来て資料や名刺を渡した。うれしかったのはApple PowerMac G4 Cubeを見て「アップルはいつもいいプロダクトしてるよな。」と言われたこと。マック売ってるわけじゃないんだけどね。Automatically translated text:Festa strainer and industrial city of Koshigaya the first day of the lunch. 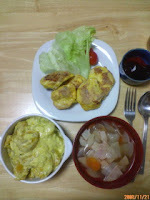 Ordinary lunch. 800. In the afternoon, and his daughter-in-law to come and take a break so. 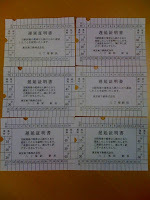 Material sprinkling of customers came and gave a business card. It was good to see Apple PowerMac G4 Cube, "Apple's always doing a good product." It said. I'm not selling the Mac, but I'm not. 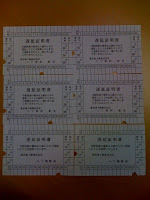 越谷市こしがや産業フェスタ２００８出展。初めての産業フェスタ。こういうイベントに出展というのも初めて。搬入から飾り付けまで、何から何まで一人でやった。まだ発表をしていない新システム。開発コードネームは「Self Control」、もうすぐお目見えです。Automatically translated text:Festa Koshigaya strainer 2008 and industry have exhibited. Festa industry first. 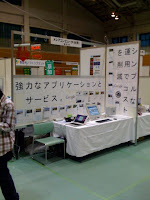 This is the first exhibition event. From carrying decorated, in one of anything and everything I did. Has yet to announce the new system. Development, code-named "Self Control", is introduced soon. 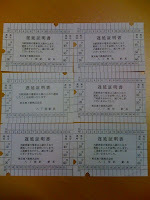 会社で初めてのチーム合同レクリエーション。自分が部署を移動する前には何度か行ったそうだけど、自分は初めての合同飲み会。普段あまり会わないような人たちとちゃんと話が出来るのでいい。場所もおしゃれなお店でした。Automatically translated text:The team's first joint recreation company. To move his department several times before, but it was their first joint session. As usual with the people who see very well, so I can talk. Location was fashionable shops. 更地のようだけどネギが３本ありました。固い茎を持つようになったナスを撤去して、雑草も取り除く。すこし土をならして終わり。発見したネギは左に１本、右に２本。もっとたくさん頂いて植えていたのに。残念だけどこの子たちを育てて行こう。お前たちは希望だ。Automatically translated text:It's like raw land, but the three green onion. 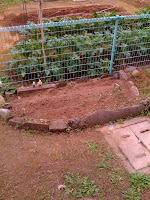 Was to have firm stems and remove the eggplant, and also remove the weeds. On an average Saturday to end a bit. 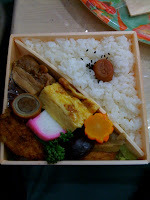 Negi had found one on the left, two on the right. Many more have received had planted. This is unfortunate, but I want to raise their children. You are our hope. 成長した我が家のナスの根っこ。とりあえず終了したナスから撤去を始める。結構根が深いなと思って引っ張ると長い根が姿を現す。これだけ成長すると他に植えてる物からも養分を取っちゃうよね。おかげで中央付近にあったネギは跡形もなく消えてしまった。Automatically translated text:The roots of home-grown eggplant. Eggplant now removed from the starting end. 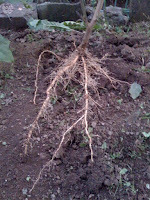 I think quite a deep-seated roots and a long haul to emerge. It is to grow from planting to the other nutrients I'm going to take. Thanks to near the center of the onion disappeared without a trace. 荒れ地になってしまった我が家の畑。ナスの下には雑草がたくさん生えてしまった。一応数本のネギは生きている。ナスは成功したので残るネギの栽培に全力を尽くしたい。Automatically translated text:Our home has become a wasteland of the field. 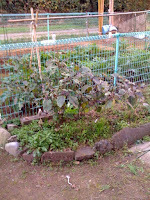 Eggplant is under a lot of weeds grew. Several supposedly living in the green onion. 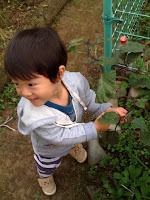 Negi had succeeded nightshade remain so everyone who's grown. さらばナス、今までありがとう！たくさんのナスを収穫できて本当に楽しかった。子どもにもいい思い出になったと思う。もう最近では実がなるけどあまり成長しなくなってしまった。そろそろおしまいのようです。Automatically translated text:Farewell eggplant until now! Eggplant can be harvested a lot of fun really. I was a kid I remember. I have recently become a real, but I had not grown much. It's time to end. 我が家のDJのお気に入りはいないいないばぁっ！オーディオテクニカのヘッドホンが壊れたので息子のおもちゃになっている。でもイヤーパッド部分のツメが壊れただけなので音は出る。嫁が使っているiPod touchでYouTubeを再生。曲は「でんしゃだいすき！」Automatically translated text:My favorite DJ Inai Inai Baa! AUDIO-broken headphones, so is his son's toys. Earbuds, but only partially because of a broken claws out sound. A daughter-in-law has used YouTube to play on iPod touch. Songs, "an electronic YADAISUKI!" ランチパックグルメ「カニクリーミーコロッケ」を食べた感想。「カニの旨味の効いたカニクリーミーコロッケとタルタルソースをサンドしました。」１枚入。初めて見た商品。コストがかかっているようで１枚しか入っていない。カニクリームコロッケは文句なしにおいしい。Automatically translated text:RANCHIPAKKUGURUME "KANIKURIMIKOROKKE" ate feedback. 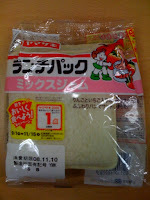 "The full flavor of a crab sandwich with tartar sauce and KANIKURIMIKOROKKE-conditioned." Turn one. I saw the first item. As the cost depends on the only one not included. No complaints KANIKURIMUKOROKKE tasty. チロルチョコ「あまおうたると」を食べた感想。開けるとすぐにイチゴのいい香り。甘酸っぱいイチゴの味でおいしい。あまおうは苺の王様らしい。Automatically translated text:Tyrolean chocolate "king rain barrel and" ate feedback. As soon as I open the aroma of strawberries. 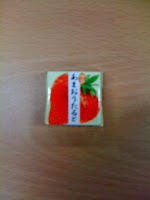 A delicious sweet and sour taste of strawberries. Flaxseed王様RASHII king of the strawberry. 台所にしいた英数字の面白いマット。結構前からだけど、寒くなる前に台所にマットを敷いた。くりぬいて遊べる。６と９が同じなのでよくいたずらをしています。色違いを組み合わせて同色にしたり。最近数字を理解するようになってきた息子は５がお気に入り。Automatically translated text:Matt alphanumeric SHIITA interesting in the kitchen. 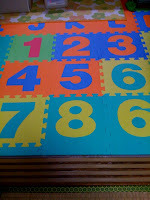 But it is quite cold, to be laid before the mats in the kitchen. KURINUI to play. 6 and 9 of the same mischief that has so often. In a different color or a combination of the same color. Recent figures have come to understand is the favorite son. ファミ通の占いで注意とあったギックリ腰。会社には毎週ファミ通が置かれているので最近ではコンビニで読まない。元々福田先生の占いを見るぐらいなので買うこともなかった。ギックリ腰に関しては過去にも書かれていた。もう、本当に怖いよ。Automatically translated text:Famitsu had the fortune-telling GIKKURI note and waist. 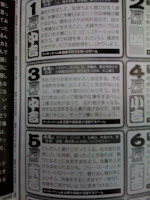 Every company is a Famitsu, so do not read at a convenience store in recent years. 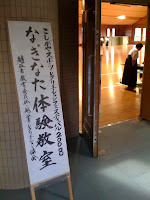 Fukuda, a former teacher and see the fortune-telling, so I did not buy it. GIKKURI waist was written about in the past. I'm really scared. イケア新三郷で買って来た２９９０円のイーゼル。ちょっとグーグルっぽくホワイトボードが欲しいと以前から思っていた。いい機会なので安いイーゼルを購入。一緒にペンも買った。工具なしで組み立てられる。ちょっとしたメモやアイデアを書くのにいい。Automatically translated text:IKEA had bought新三郷easel yen in 2990. 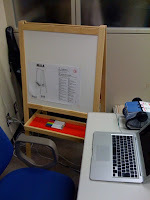 I want a whiteboards and the Google-ish I was before. Easel is a good opportunity to buy cheap. I also bought a pen. Be assembled without tools. Write a short note and a good idea. 越谷市スポーツ・レクリエーションフェスティバルでなぎなた体験。刀と違って、両手が離れるので最初に違和感があった。でもやっていると、理にかなっているというか無駄がないのがわかる。居合いと違って膝は曲げないらしく、何度も注意をされた。八双の構えもあった。面と臑の型２つを習った。面白かった。Automatically translated text:Sports and Recreation in the city of Koshigaya Naginata festival experience. Unlike the sword, leaving his hands, so that was something wrong with the first. But they are doing, it stands to reason that you know there is no waste. Unlike the居合I曲GENAIRASHIKU knee, and was repeated attention. Was poised to double in the eighth. The type of plane and two臑learned. I did. 新しくオープンしたIKEA（イケア）新三郷へ行った感想。越谷から吉川を抜けて新三郷へ。渋滞もなく駐車場も余裕があった。家具だからレイクタウンとは違うのかな。店内は一本道で部屋の雰囲気を楽しめるようになっている。レストランもあったけど、混んでいた。事務所で仮眠用に使いたい、欲しいいすがあったけど、ちょっと様子見。Automatically translated text:The newly opened IKEA (Ikea) went to新三郷thoughts. Yoshikawa新三郷through from Koshigaya. Parking without traffic jams were also unable to afford. 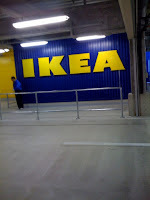 It differs from the furniture? REIKUTAUN. The store is in one track to enjoy the atmosphere of the room. I had a restaurant, was crowded. You want to use the office for a nap, but I want a chair, wait a bit. 嫁からのメール「birthdayメニュー☆」。「カブとハムのスープ、かぼちゃのニョッキ クリームソース、チキンピカタ、デザートは紅茶のシフォンケーキ。」最近の息子はよく食べる。食後はお腹がパンパン。嫁が一度その姿を写真に撮ると、毎回食後に腹を出して写真を撮れとせがむようになった。Automatically translated text:E-mail from a daughter-in-law "birthday menu ☆". "Ham and turnip soup, pumpkin gnocchi in cream sauce, CHIKINPIKATA, tea chiffon cake for dessert." Eat a lot recently son. PANPAN in the stomach after meals. Once the daughter-in-law to take their photo, in the stomach after eating out every photo in the urgent and was shot. 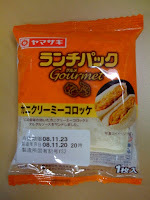 ランチパック「チョコクリーム」を食べた感想。「なめらかなチョコクリームをふんわりパンでサンドしました。」なめらかなちょこがそのまま入っている。噛んだ時にチョコが溢れ出すんじゃないかとちょっと心配になる。美味しいです。Automatically translated text:Packed Lunches "chocolate cream" He ate. "Sand in the pan, smooth chocolate cream wooly." Banjo has just smooth. I get a little nervous and full of chocolate when I get噛NDA. It is delicious. ローソンのズーむすび「江戸甘味噌の焼きおにぎり」を食べた感想。一口食べて暖めてから食べたほうが美味しいと思った。味は甘味噌で美味しいんだけど、ご飯が冷たいとぼろぼろの食感だった。Automatically translated text:Lawson's Zoo Conclusion "of the Edo甘味噌baked rice balls," ate feedback. A bite from the heat and I ate more delicious. 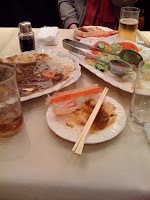 In the taste甘味噌delicious, but the rice was cold and a sense of worn-out food. ランチパック「ミックスジャム」を食べた感想。「りんごといちご入りのミックスジャムをふんわりパンでサンドしました。」イチゴの味がほとんどだけど、りんごの味がしないでもない。甘くておいしいジャムだ。Automatically translated text:Packed Lunches "jam mix" He ate. 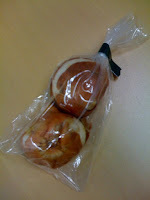 "Wooly bread sandwiches with strawberry jam and mix with apples." I almost taste the strawberries, but not the taste of apples. It tastes good and sweet jam. ハッピーフライトチキンバーガー１８０円を食べた感想。ローソンの映画『ハッピーフライト』とのタイアップ企画。映画名「ハッピーフライト」からイメージを膨らませてできた商品。しっかりと味付けされたフライドチキンをはさみ、マヨネーズを加え食べやすく仕上げました。マクドナルドのチキンフィレオを思い出した。結構好きな味。Automatically translated text:HAPPIFURAITOCHIKINBAGA thoughts ate 180 yen. Lawson's movie tie-ins with flight planning and happy. 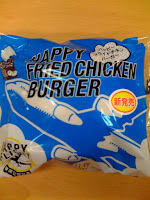 Movie "Happy Flight" made from a product image. Fried chicken is well seasoned with scissors and the finished mayonnaise and easy to eat. McDonald's CHIKINFIREO remembered. Quite like the taste. ランチパック「ブルーベリー＆マーガリン」を食べた感想。「ブルーベリージャムとマーガリンをふんわりパンにサンドしました。」ブルーベリーのすっきりした感じがマーガリンで消されているような気がする。この組み合わせはちょっと変だと思う。Automatically translated text:Packed Lunches "Blueberry & Margarine" He ate. "Woolly margarine on bread sandwiches and blueberry jam." 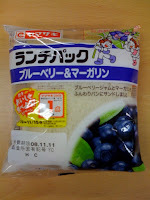 I feel like margarine that are turned off by the feeling of pure blueberry. I think this combination is odd. チロルチョコ「きなこもち」を食べた感想。黒みつ仕立て、きなこチョコの中に黒みつソースともちグミ。ワンランク上のプレミアムチロル。コンビニ限定らしい。Automatically translated text:Tyrolean chocolate "soy flour having" thoughts ate. Nectar-tailored black, chocolate soy flour in a sticky black nectar source and Swedish. Tyrol notch higher premium.限定RASHII convenience store. 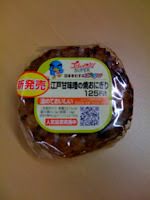 ランチパック「カレー焼そば」を食べた感想。「カレー味の焼そばとマヨネーズタイプのドレッシングをサンドしました。」カレーと焼そば、どちらも食欲をそそる食べ物の組み合わせ。そしてマイルドなマヨネーズが加わる。とても美味しいです。Automatically translated text:Packed Lunches "yaki soba curry" He ate. 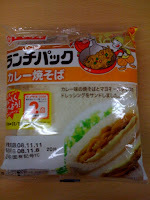 "Sand and mayonnaise-type dressing yaki soba curry flavor." Curry and yaki soba, a combination of both influenced food. Joined by a mild mayonnaise. 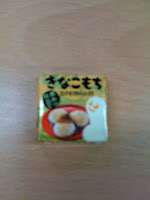 It is very delicious. チロルチョコ「とろ〜りショコラプリン」を食べた感想。ショコラプリン風味のチョコの中に、カスタード風味のクリームとショコラソースを入れました。ショコラプリンの味。美味しい。Automatically translated text:Tyrolean chocolate "pudding mortar of Chocolat RI" ate feedback. 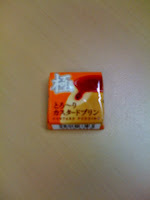 The chocolate flavor of chocolate pudding, custard cream and chocolate sauce flavored put. The taste of chocolate pudding. Delicious. 会社のチームリーダーのお土産はゆず茶。リーダーが韓国へ休暇で旅立つ前にチームメンバーの一人がお願いしていたゆず茶。柑橘系は好きな方なので美味しく飲めた。ホットでもアイスでもジャムとしてパンに塗ってもいいらしい。直接なめてみたけど美味しかった。Automatically translated text:Team Leader of the company's souvenir tea, citrus fruit. 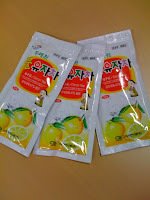 South Korean leader to travel on vacation to one of the team members had a citron tea, please. Citrus is a delicious飲META prefer. 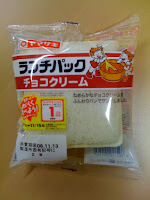 But as the ice jam in the hot pan coated with a IIRASHII.美味SHIKATTA directly, but I licked. チロルチョコ「とろ〜りカスタードプリン」を食べた感想。プリン風味のチョコレートの中に濃厚なカスタード風クリームとほろ苦いカラメルソースを閉じ込めました。カスタードプリンの味。美味しい。Automatically translated text:Tyrolean chocolate "RI custard pudding with mortar," ate feedback. 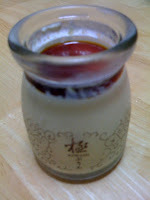 Chocolate pudding flavored custard in a heavy wind閉JI込MEMASHITA cream and bittersweet caramel sauce. 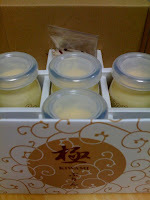 The taste of custard pudding. Delicious. 越谷市環境と情報の集いイベントでもらったチューリップの球根。場内のアナウンスで球根の配布と聞いたので頂戴しに行く。既に長蛇の列だったけど、スムーズに流れて１つもらえた。これはいい物を頂いた。ちょうど畑にスペースが出来る予定なので植えようと思う。うれしい。Automatically translated text:Gather information environment and the city of Koshigaya in the took in the event of a tulip bulb. 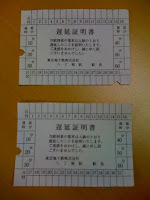 Distribution of the bulbs in the hall and heard the announcement, so go and be charged. I already had a long line, flowing smoothly TSUMORA ETA 1. It received a good product. Spaces will be able to field just because I think Exchange Local Food. Glad. 越谷市ごみ処理場の環境と情報の集いイベント。天候が悪く、中止かなと思ったけど、雨天でもやっていると知ったので行ってみた。リユースは先日のバスツアーでも来たけど、平日しか入れないので土日には見ることが出来ない。紙すき体験や大道芸、ストラックアウトゲームや越谷の特産品くわいの販売等も行われていた。Automatically translated text:Koshigaya waste disposal facilities and information gathering of environmental events. 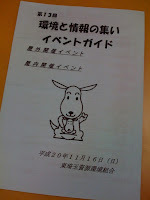 Bad weather, I was stopped, but the rainy weather, but we are doing and so I learned. Reuse came at a recent bus tour, but on weekdays, weekends, so not only can not see. 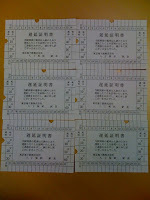 Experiences and performers paper pressing, Koshigaya SUTORAKKUAUTO of games and specialty products such as the sale of KUWAI were also held. 玉華堂のきわみプリンを食べた感想。ふたを開けて、甘いシロップをかけて食べる。本当にとろける美味しさで、みんな喜んだ。９個入で２９００円。ビンもかわいいので再利用できるかも。Automatically translated text:Yu Hua ate pudding thoughts extremity of the hall. Open the lid, and eat sugary syrup over. Delicious melt in indeed, they all cheered. Turn nine in 2900. Bin can also be reused, so cute. やっと届いた取り寄せの玉華堂のきわみプリン。本当は午前中につくはずだったけど、運送業者の手違いで配送ミスがあり、どこか別の地区へ行ってしまった。車が戻り次第再配送になるので夕方前になってしまった。せっかくの誕生日プレゼントだったのに。Automatically translated text:Hua Yu received a requested barely the height of the hall pudding. He had really come in the morning, but the mistake in the delivery of the carrier by mistake, and I had to go to another district. Delivery vehicles will return once again in the evening before. I was a birthday present. マイクの集音が悪いので直接口をつける息子。やっぱりおもちゃなので集音が悪く、普通に発声しても音を拾わない。大人なら手を筒状にしてマイクに話しかけられるけど、子どもなので直接口をつけて話す。自分の声が大きくなって聞こえるので面白いようだ。Automatically translated text:Mike's mouth because of poor sound put her son. 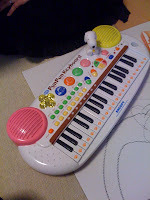 Maybe I sound so bad toy, it is common to the sound of the voice拾WANAI. 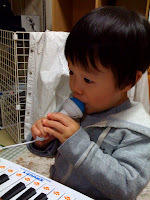 If an adult hand and a microphone-shaped tube to be talked to, but because children speak directly with the mouth. I hear the voices are so much fun. おもちゃのキーボードを気に入ったようだ。家に帰って早速スタンドを取り付ける。マイクもいすも付属している。とても気に入ったようでジャンジャン弾いている。もう少ししたら一緒にピアノを習いに行こう。自分も音楽やりたい。Automatically translated text:Seems like a toy keyboard. Stand back home immediately install. Also chair microphone is also included. It seems like it is playing ding-dong. After a little more to go along with the piano. I love the music. 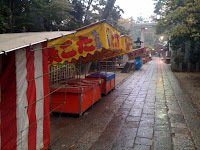 越谷市久伊豆神社の雨の七五三。今日は七五三。うちはまだ関係ないけど、甥御は当てはまるので旦那さんが髪を切りに行った。天気が悪くなり、夕方から雨。近所の久伊豆神社は的屋もやっておらず、人もあまりいなかった。Automatically translated text:Hisashi Shinto shrine city of Koshigaya Izu Shichi-go-san in the rain. 53 Today the seventh. Not out yet, but your nephew is so true that your husband had to cut my hair. Bad weather and rain from the evening. Hisashi Shinto shrine in the nearby Izu I did not even的屋, not much. 息子のお誕生日プレゼントはキーボード。写真撮り忘れたけど、甥御には恐竜キングのラジコンをプレゼント。自分の息子は音楽に興味があるようで、曲が聞こえるとリズムに乗って踊りだす。家では指揮者のような動きをすることもある。というわけでキーボードを選んだ。Automatically translated text:Your son's birthday present of a keyboard. I forgot to picture taking, your nephew, King's radio-controlled toy dinosaurs to the present. 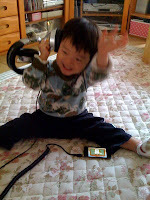 My son seems to be interested in the music, hear the song and begin to dance to the rhythm. At home, such as the conductor can move. So chose your keyboard. 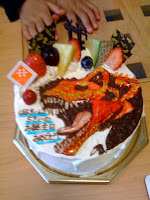 甥御のお誕生日ケーキは恐竜キング。過去ログ見ると、去年はゲキレンジャーだったな。名前は何とかティラノザウルスだったような。毎回デザインされたケーキを見るけど、上手い。自分も誕生日になったら何か作ってもらおうかな？Automatically translated text:Our nephew of King dinosaur birthday cake. Looking past the log, was GEKIRENJA last year. TIRANOZAURUSU name was something like that. Was designed to see each cake, but good. What comes to your birthday or even get made? 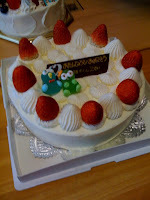 息子のお誕生日ケーキには不思議な人形。嫁のお母さんが代理で買ってきてくれた。バラの花と人形が選べるたらしく、花はまだ早いので人形を選択したそうだ。で、ついてきたのが緑色の不思議な人形。まだ年齢も小さいのでケーキは普通のノーマル。Automatically translated text:Your son's birthday cake, a mysterious figure. Daughter-in-law on behalf of the mother was out of the box. And a choice of roses TARASHIKU dolls, dolls and flowers selected so early. , Has all the magical figure of the green. Yet the average age of a small cake, so normal.